Fixes most of the problems of Oblivion. It has a far more interesting setting and the quests are of a much higher quality in terms of writing and execution. Its world is nuanced and interesting and worth exploring every corner. While the combat is not the strongest suit ever, it gives you so many options to play as, everyone is bound to find something they like. This is, in my opinion, Bethesda's finest work. Like an endless bowl of oatmeal. Skyrim has heaps of "content" that will keep you occupied when you'd rather not think about the real world, but it's certainly not a game worth playing when you have other things worth doing. Well... if you go really heavy on the mods ('m talking 15+ hours spent on modding), and especially the ones that add new content and quests, you can have a lot of fun with this game. Especially "Interesting NPCs" is highly recommended. But taken purely on the merits of the base game... boy, it's really shallow and boring. I wonder how Bethesda hires its writers, because the dialogues and quest design are SO bad that I feel there must be some terribly interesting secret behind it. The world is so big, so immersive, that it will take you at least 80 hours to really explore it all. In that time you'll have more quests than you can count. You can pursue the main quest or head off to do whatever you like. NPCs are so numerous and yet so varied, for personalities, for wants. I doubt I'll ever tire of this game. 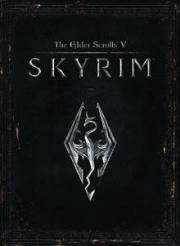 I'm one of those gamers who ENTERED the Elder Scrolls series at Skyrim. So much of the lore and the backstory are so foreign and unknown to me. Maybe that hinders the experience, but I like to think that it helped, in a specific way - I can address Skyrim as JUST Skyrim. I'm not locked into comparing it to its predecessors. As a game, Skyrim is a masterpiece. It's so deep, it's so engaging, it's so much fun. It's routine for me to just lose a day in Skyrim. Among the best RPG's I've ever played. I'm going to be honest; this is not as good as previous Elder Scrolls games. It got a MASSIVE amount of hype, but at the end of the day, it doesn't hold a candle to Morrowind. The combat and magic systems have been drastically improved, and the perks are great (if you mod them), but from a story perspective, it's just not as good as its predecessors. Still a great game by all means, but doesn't carry the same weight or feel as Morrowind or even Oblivion.